Pompeo met with Prime Minister Binyamin Netanyahu before the opening session at the conference and said “pushing back” against Iran was central to dealing with all the region’s other problems. “You can’t achieve peace and stability in the Middle East without confronting Iran. It’s just not possible,” Pompeo said alongside Netanyahu. 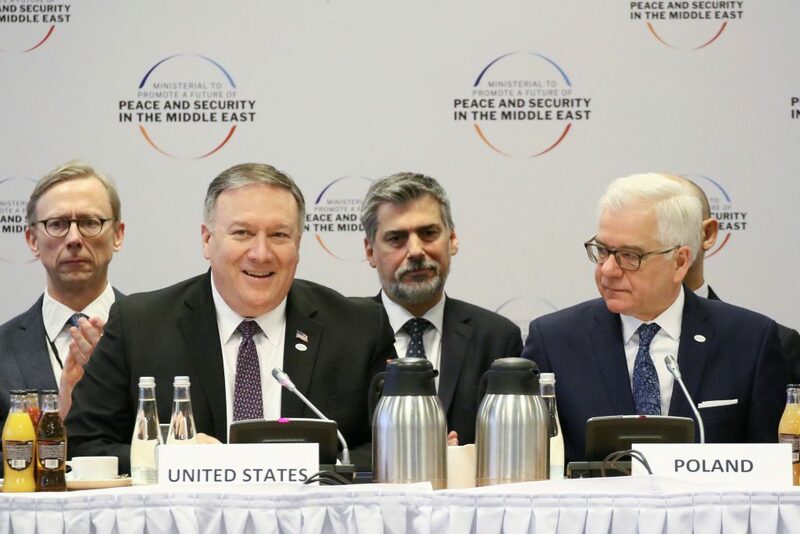 The U.S. and Poland are sponsoring the conference, which they say is aimed at promoting peace and security in the Mideast but appears to be mainly focused on isolating Iran. Iran has denounced the gathering as an American anti-Iran “circus” aimed at “demonizing” it. Russia and China aren’t participating, either, and the Palestinians, who have called for the meeting to be boycotted, also will be absent. For Netanyahu, a longtime opponent of the 2015 Iran nuclear deal, the gathering marks a culmination of his call to unite the world against Israel’s archenemy Iran. He’s long boasted that Israel has clandestinely developed good relations with several Arab states, despite a lack of official ties. On Wednesday, he met with Oman’s foreign minister, Yusuf bin Alawi, and at Thursday’s opening session he was seated next to the foreign minister of Yemen, as representatives of Kuwait, Qatar and others looked on. Israel has signed peace accords with Egypt and Jordan, but other Arab nations have refused to publicly improve relations without significant progress being made toward ending Israel’s half-century occupation of lands sought for a Palestinian state. But that shunning has begun to ease in recent years as shared concerns about Iran have overshadowed the Palestinian issue.